Last weekend it definitely felt like spring had arrived. 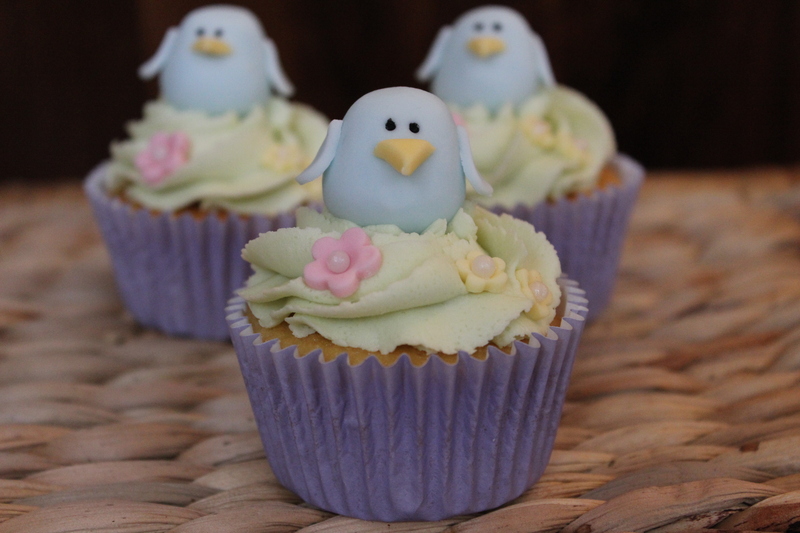 We’d also had some lovely sunny days at the start of the week so I couldn’t resist making some spring cupcakes but after I made these on Wednesday evening the weather suddenly changed – I woke up on Thursday morning to see it was snowing! However, these little birdies definitely helped to brighten the day. “Chirp chirp, tweet tweet, chirp…” I mean click here to keep reading. This wedding cake was a last minute favour for somebody at work. 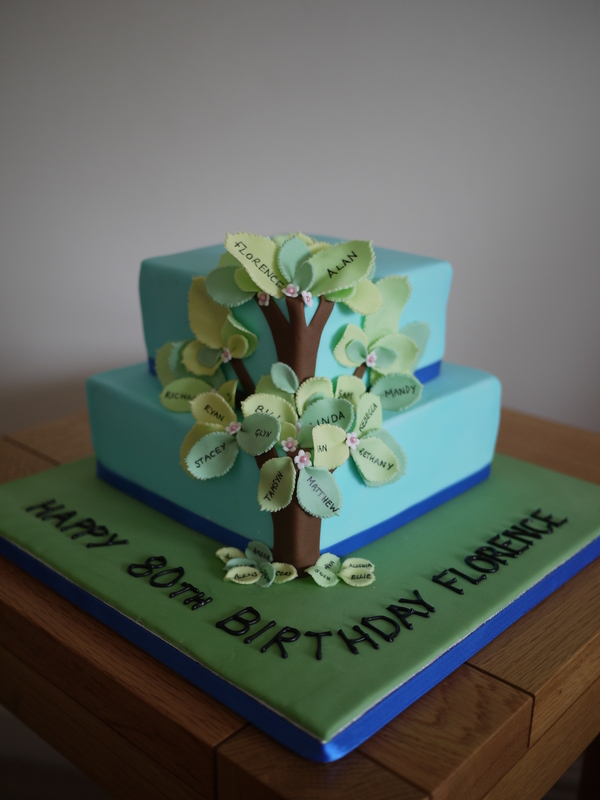 Luckily though, I didn’t have to make the cake, just ice and decorate an 11″ square fruit. 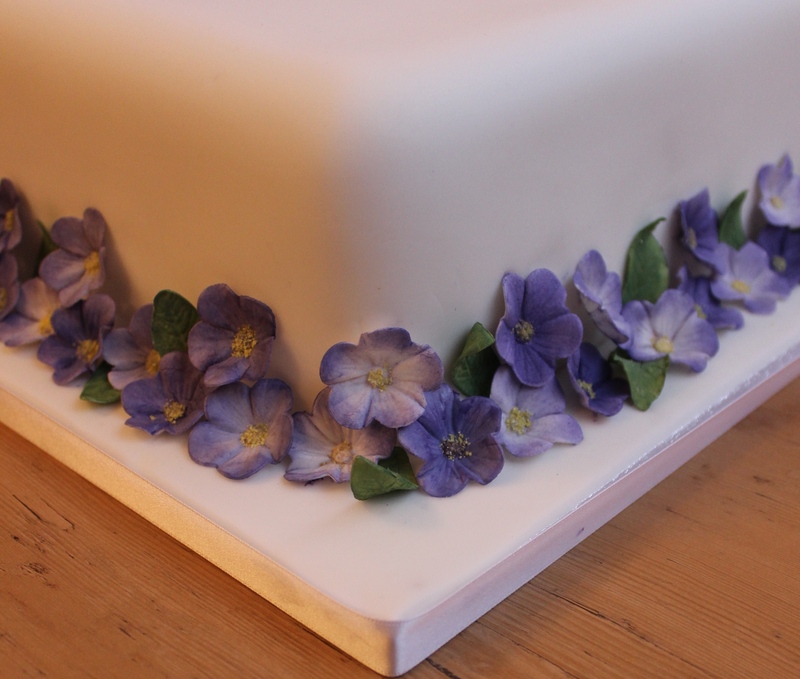 It was a single tier cake and I loved the simplicity of the design they chose – a white cake with purple and lilac flowers around the base. Word of warning – if you make these cupcakes you might end up with a speckled kitchen too! Still want to have a go at making them? In my office there is a cake trolley every Friday for charity – the charity changes each month. February’s cake trolleys were to raise money for Maggie’s Centre in Newcastle – Maggie’s offers free practical, emotional and social support to people with cancer and their families and friends. Until last week I’d been busy every Friday in February making cakes for other people. So last Friday was the first week I was able to bake something for the trolley and I wanted to make something slightly different so on Thursday night this little piggy stayed home and made these piggy-themed cupcakes!